These are odds and ends that I've picked up over the years but need information, parts, or something else to make them complete and/or operational. I have an APTICOM model A5B Dexterity Module. On one side is a matrix of red LEDs, and on the other side are connectors and switches to control the display. I'm looking for documentation regarding the connectors and how the display area is driven. I'm looking for documentation for this Hewlett-Packard device. It is missing the oscillator and interface card, for which I am also looking. I'm looking for user and service documentation for this 8-inch drive. I'm also looking for recommendations on an interface card to allow me to hook this drive up to a "modern" computer. I have a board assembly from what I presume is some type of counter timer device. It has four Panaplex displays, three two-digit and one three-digit, driven by DM8880 integrated circuits. There is a single red LED between the first and second two-digit displays. 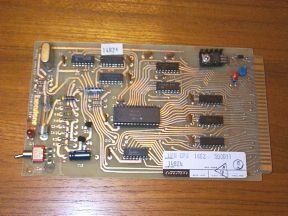 I'd like to identify the device this board came from, and perhaps locate the original schematic for the board. 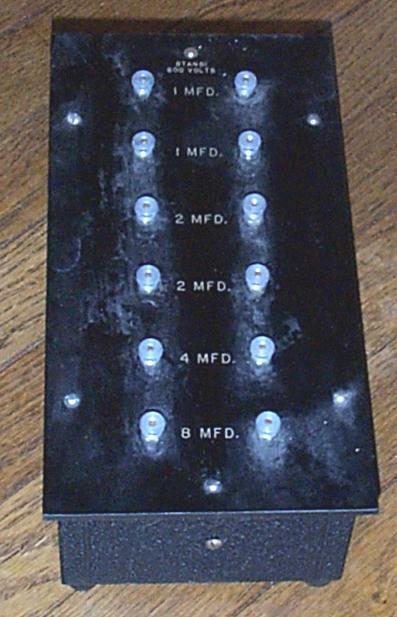 The right side of the board has a silkscreened identifier of 445353, along with a stamped Revision number. 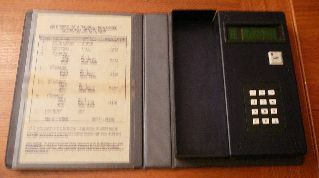 What appears to be a date code appears above the right-most display, EO 9 74, perhaps indicating an Engineering (design) date of September 1974. The silkscreened logo is for Leeds & Northrup, a Philadelphia-based manufacturer of precision measurement equipment. Above the left-most (three-digit) display is A3A2 silkscreened on the corner. I'm looking for software to communicate with a Maxim 2741 GPS receiver, specifically the USB "dongle" device. 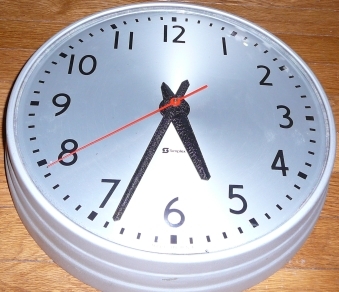 I have a Simplex "slave" wall clock and am searching for the correct procedure to set the clock without the original master clock. I have an Imaging Automation B3000-D Border Guard device, with the necessary power supply. It was marketed as a full-page document (passport, ID card, etc.) authentication system. Imaging Automation was bought by Viisage Technology, Inc. in October 2004. In August 2006, Viisage and Identix Incorporated merged to form L-1 Identity Solutions, Inc.
Safran acquired L-1 Indentity Solutions in July 2011 and renamed it MorphoTrust. Any technical documentation related to this device would be welcome. 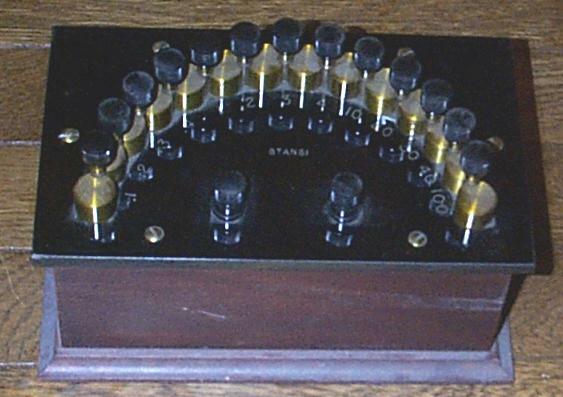 There are 10 DIP switches and two connectors along one side and what appears to be five test points along the top. On the bottom side of the board is a 4 MHz crystal and a red pushbutton switch. Any documentation related to this board would be welcome. I'm looking for documentation for a Sony Antenna Packet Counter. Inside it's a simple circuit board with 16 LED counting indicators and three simple integrated circuits, specifically two 74HC164N serial-to-parallel shift registers and a 74HC02N quad OR gate. 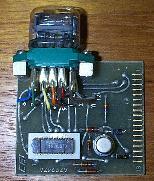 An external BNC connector provides the input signal. The whole thing is powered by two AA-size batteries. 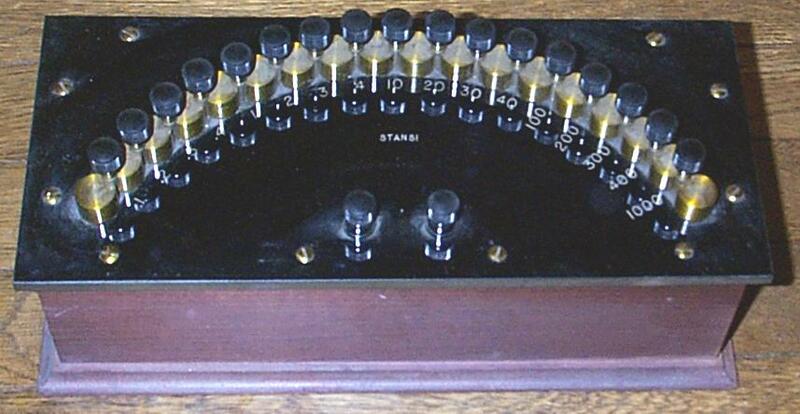 I'm looking for documentation for a MX-Com product identified as a keyloader, presumably for some kind of radio. More photos and brief information can be found here. 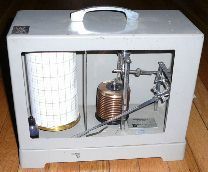 I'm looking for spare parts and some kind of service or calibration manual for a WeatherMeasure Corporation micro-barograph model B211. I need at least a replacement front glass piece and various pin connectors. I'd also like to find a source for the chart paper. I have a Chrono-Log LED clock/calendar. It has a calendar (day-of-year) and clock (hours-minutes-seconds) display composed of red LEDs, along with related black setting pushbuttons for each segment. The stamped manufacturer tag shows a model of "70,101-142" and a serial number that begins with the digits 87. 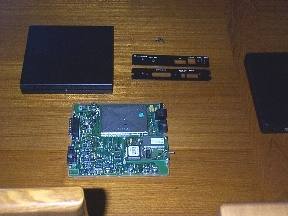 The rear of the unit has a power switch and a card-edge connector. This instrument was last produced over 20 years ago. Your instrument was made in 1987. We no longer have instruction manuals available for these models. Does anyone have a manual for this clock, and/or a pinout for the connector? 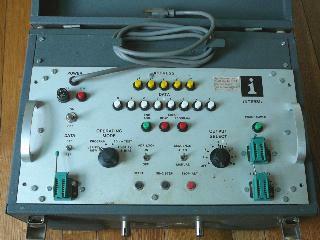 I'm looking for protocol specifications for a Trimble GPS receiver, part number 23198-63, built in 1997. 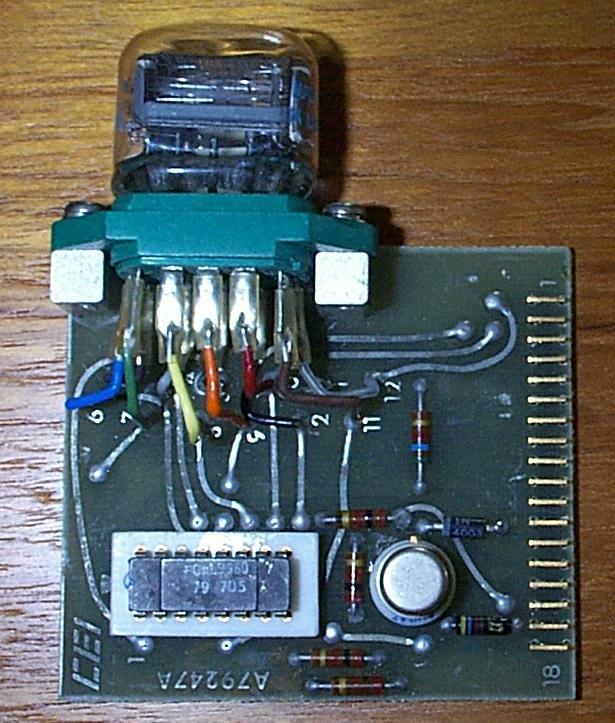 It has two nine-pin serial ports, a three-pin power connector, and an SMB connector for the antenna (5 volt bias on the center pin). I'd also like to find an appropriate antenna for this unit. I also have a Trimble GPS module, supposedly removed from a BMW automobile, part number 23197-62. 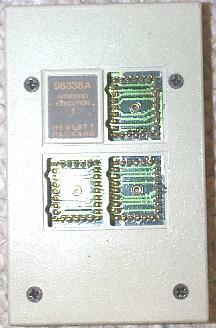 It has a power connector with three leads (black, red, yellow), a 9-pin female DE connector and an antenna connector. I have no documentation on this module. I'm looking for the protocol specifications for the control link on a Garmin GBR-21 Beacon Receiver. 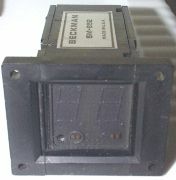 This device provides RTCM-format corrections for GPS ("Differential GPS") and is designed to be controlled by one of several models of Garmin GPS receivers. I'd like to find the protocol specification to command the GBR21. American Satellite Corporation supplies a DES-based encryption device operating in the cipher block-chaining mode. The CryptoLine handles full-duplex serial synchronous data at rates to 56 kbps. A phase-lock-loop prevents loss of synchronization on links with delay problems. Because of its protocol transparency, the CryptoLine can provide security for digital voice, video and facsimile traffic, none of which has a protocol base. It provides two levels of security: a primary key, which is set and changed as often as desired by the user; and a second, resident key. 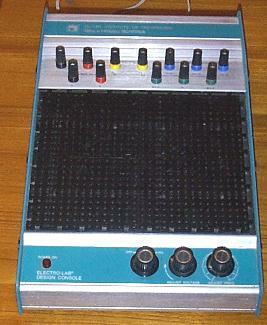 I'm looking for manuals for a Linkabit LS3626 convolutional encoder and sequential decoder. This rack-mount unit provides forward error correction at data rates up to 2 megabits per second with adjustable code rates of 1/2, 3/4 or 7/8. 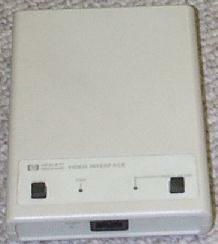 It is designed to work with a QPSK modem. The GS700 is a 4-6 channel Global Positioning System (GPS) constellation simulator in a rack-mount configuration. It is controlled via HP-IB. The GS-700 is a complete hardware and software package that provides a simulation environment in which a GPS receiver can set time, decode navigation data, and obtain/maintain a dynamic navigation solution. The nominal package contains 4 RF L1 C/A channels with an upgrade capability to 6 channels per chassis. 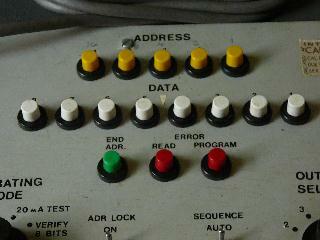 The GS700 is operated by a host computer via GPIB.iThe GS-700 is a complete hardware and software package that provides a simulation environment in which a GPS receiver can set time, decode navigation data, and obtain/maintain a dynamic navigation solution. The nominal package contains 4 RF L1 C/A channels with an upgrade capability to 6 channels per chassis. 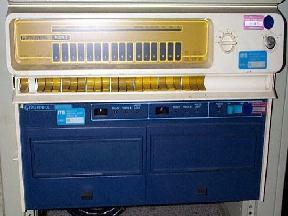 The GS700 is operated by a host computer via GPIB. Apparently I need a copy of something called the "Voyager GUI" (Voyager Graphical User Interface) to control the simulator. Does anyone have a copy of this software? I'd also be interested in operator (and service) manuals for the GS700 hardware. I would also be interested in learning more about the history of Welnavigate. The principal is apparently Saburo Ifune, who holds patent number 5,093,800 ("Global positioning system satellite simulator"), filed in 1989. I picked up an old Intersil model 5601, identified by a tag as a Constant Current Programmer. It comes in a lidded case with a carry handle and has a manufacture date in 1975. It has a 16-pin ZIF socket for a REF (Reference) PROM and two additional ZIF sockets, one for PROGRAM and one for 8-BIT VERIFY. 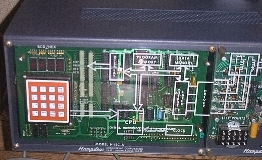 The programmer panel has a five-bit address display and an eight-bit data display. Does anyone have a copy of the operator (and service) manual for this device? I have a TrueTime XL-AK, model 600-101-036, that appears to have two problems. I set up the unit with the TrueTime antenna and let the unit sit for 24 hours in AUTO mode. It correctly identified my location and switched to TIME mode, however the reported time was not correct (it showed January 2029). Function 73 reported that the GPS was Unlocked and the status LED was red. The unit will keep whatever time I manually set it to, although it still never locks to GPS time. So, I followed the work-around described in the Symmetricom service bulletin (local copy here) and set the year to 1996. I power-cycled the unit and after the restart it began reporting the correct time and lit the status LED green. However, after some period of time the unit shows a red status LED and reports that the GPS is unlocked. It does appear to continue to report the correct time. 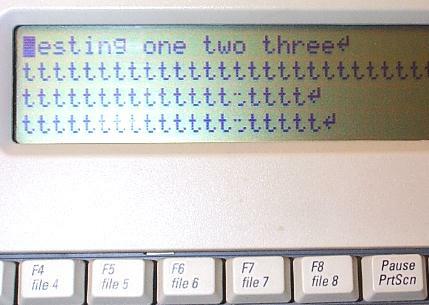 The unit I have reports TRUETIME XL sys ver 29 when starting up, with V1.046. Any clues on what I can do to correct the timekeeping error and the serial port problems? Perhaps related, is there a firmware upgrade for this model that can be performed? A manual for the XL-AK can be found here (local copy here). I looking for a datasheet (or at least a pinout) for this gas discharge display. Click here for more photographs and a brief description. I'm trying to identify the device that this Nixie tube assembly may have come from. There are 14 Nixie tubes in each of two display modules. Click here for more photographs and descriptive text. 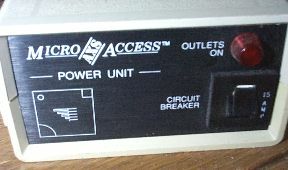 I have four of these modular power supplies, model number S53P11-1A made by Fortron/Source. It accepts 120 or 240 volts from a standard IEC power connector and produces 8.5 volts at nearly 6 amps. It has a female DB-9 connector coming out of the bottom (top?) of the case. Does anyone have a pin-out for the output connector? Click here for photographs of the boards. I have what appears to be an ISA board with two bubble memory modules on it. I'm looking for documentation and driver software for it. 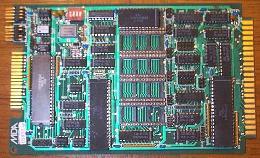 I have three of these Executone CPU boards, each with a Rockwell 6504 CPU. As usual, I don't have any documentation or manuals for these boards, which appear to have come from some kind of phone system. I have this Alcor Grand Prix calculator that needs a replacement rechargeable battery. This clock appears to be operating just fine, but I'd like to locate a manual or other instruction book on how to set it properly. This appears to be an electrically controlled power outlet. I'd like to find documentation for the connector and the method of control. This appears to be some kind of training device. I'm looking for technical documentation on a Motorola GPS Automatic Vehicle Location (AVL) Unit. Click here for more photos. I have a small box full of these little 4-inch by 3-inch plug-in cards that have "Raytheon Computer" stamped on the side. I'm looking for some history on these cards and the machine they went into. Click here for more photos and an inventory count. 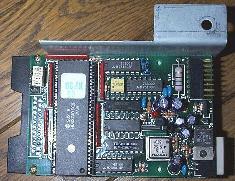 I'm looking for documentation and development tools for an ISA card with an A/D and a Texas Instruments TMS320C25 DSP. 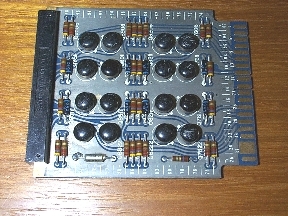 I'm looking for more information about this old processor board made by Signetics. More photos of the board are available here. 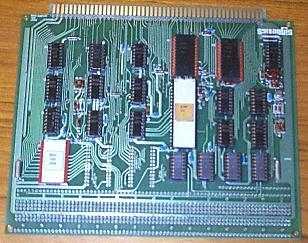 I'm looking for more information about a pair of boards I found, apparently made by MITS for an early computer. More photos of the boards are available here. 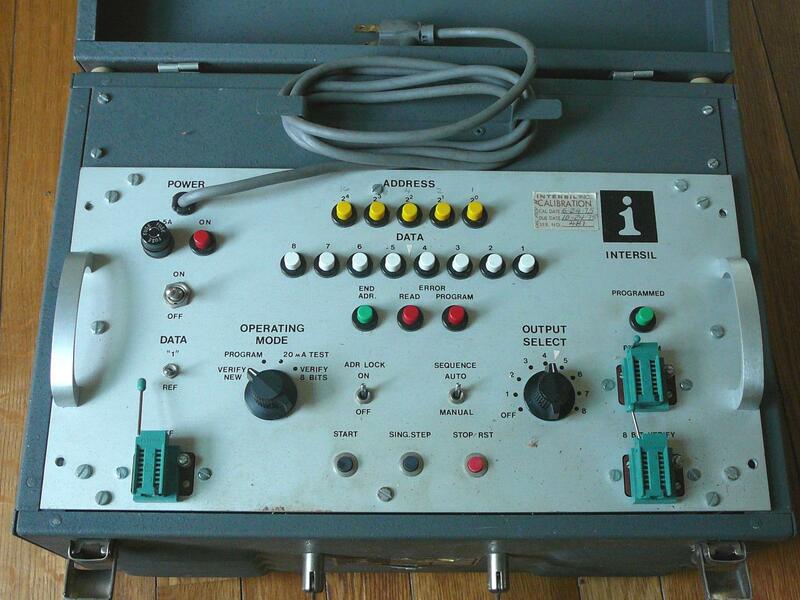 I'm looking for a manual for an Electro-Lab Design Console that was used for a time at DeVry Institute of Technology schools. More photos of the console are available here. Sorry for the poor descriptions, but I've got two odd cables here that I'd like to discover what they were designed to go to. Click on either photo to see a larger image. 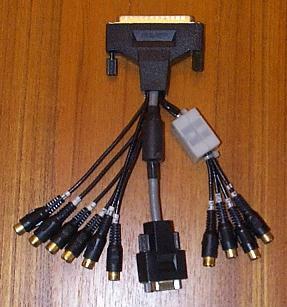 Large connector to 10 RCA connectors plus a 9-pin female. I believe your Mystery cable is for the IBM M-Motion Adapter/A which was a board used for Analog Video overlay in an IBM MCA system. 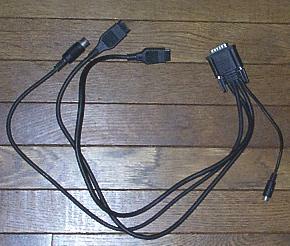 9-pin connector to two Atari-game type connectors plus an RCA and another two-contact connector. This is a model MP-2A (MP-2) made by Tokyo Tatsuno company. 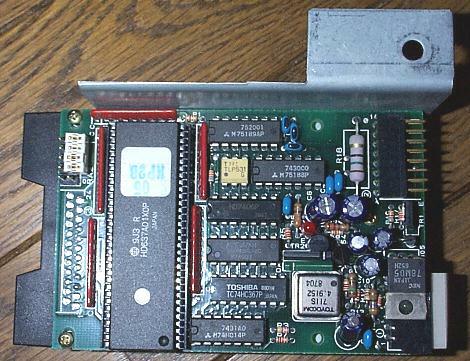 It is some kind of card reader, but I have no documentation on what type of cards, or what the pin-outs are on the 16-pin dual row connector. I picked up several electronic lab-type pieces of equipment recently that were perhaps manufactured by a Chicago company called Stansi Scientific for use in educational institutions. I have no other information about them. These first two devices are pretty straightforward, a decade resistance box and a capacitance box. They appear to be very well made, constructed out of bakelite or a very hard plastic. Pardon my ignorance, but I'm not familiar with these next two types of boxes. Each has a pair of screw-type test points and a number of brass "plugs" that slide into holes along the row of holes. 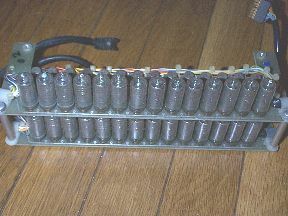 Each plug would appear to provide continuity from one hole to the next. Any stories about what these might have been used for? 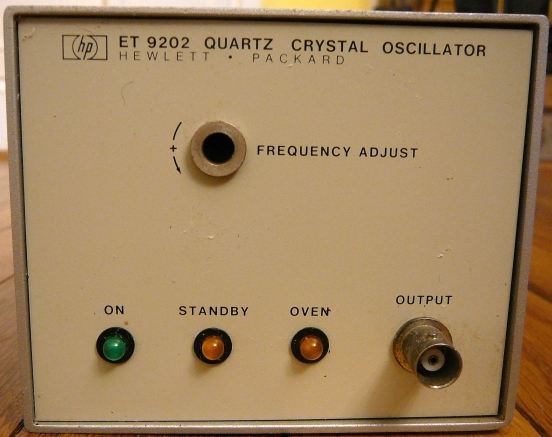 The two pieces of apparatus at the bottom of the picture are resistance boxes. When the plug is out, the resistance appears; when the plug is in the resistance is zero. Plug-type boxes are a pain in the neck to use -- you can work much faster with the dial-type boxes. From the late 19th century to about 1940 to 1950 you could get plug-type boxes. 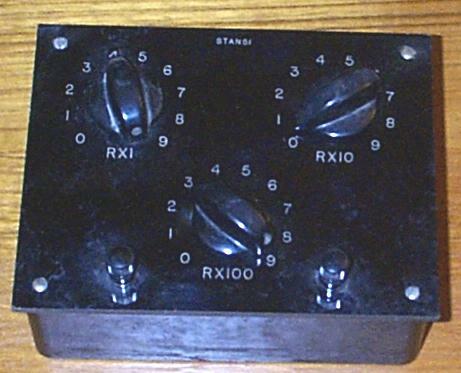 Dial type boxes start to appear in the 1910 era. which has pictures of a great deal of early apparatuss. This Data General Nova 3/12 has been rescued. Click here for more pictures and information. I'm looking for a manual for this device. We no longer can provide information or parts on the old Autogen products. All of the manuals and obsolete parts were hauled to the dumpster four years ago. I picked this up at the 2002 Dayton Hamvention. Additional photos of the board can be seen by clicking here. I have two boards that are stamped "Sequential Systems" and appear to be for an Apple ][ computer, but as usual I have no documentation or software for them. Photos of these boards can be seen here. Update: I received additional information on these boards from a kind reader. Click on the link above to read his detailed response. 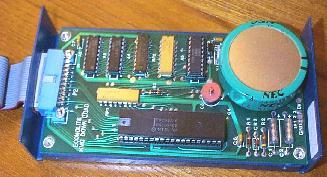 This appears to be a "computer-on-a-card" that operates from an ISA slot. All I have is the card -- no documentation or manuals. I've put up a page with several photos and a brief description, which can be seen by clicking here. Any information relating to this board would be greatly appreciated. Any documentation on these items would be greatly appreciated. I have four of these Nixie tube assemblies but I don't have any documentation on the pinouts or even what equipment these were designed for. For a larger image of the assembly click here. For more information about nixie tubes in general, click here. I have an Alphasmart Pro with a display problem. A vertical column of pixels in the third and forth row of the fifteenth LCD column appear to be out. Other than that, it's a neat little computer with a socketed ROM for easy updates. I picked up about a dozen of these "download modules" at a surplus equipment warehouse. They're manufactured by Econolite Control Products out of Anaheim, California. a (relatively) massive 1 farad capacitor. The only external connection is a 20-wire ribbon cable. 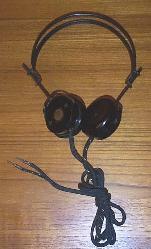 I have a pair of "The Chief" model headphones made by the C. F. Cannon company. Does anyone know more about the company or these headphones? I have a 9872A plotter made by HP. It appears to be in fairly good shape except the plotting surface is scratched in many places and needs to be replaced. Any ideas on how and where to replace the plotting surface? Also, I'm interested in manuals and documentation for this plotter. I'm looking for documentation on this device, which appears to be able to output a standard video signal from some kind of eight pin HP-HIL connector. I have a Grid 2202 Disc Drive. It's black, of course, and built like a tank. It accepts 5.25 inch floppies. It has two connectors on the back, each of which can rotate 90 degrees. 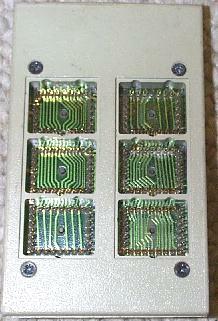 The connectors themselves are D shell but have three rows of pins. The copyright date on the bottom plate is 1982. I don't have the power supply for it. I'd like documentation for this thing, or at least to trade it for something I can use. This is a neat little data line monitor build by Hard Engineering in Huntsville, Alabama (home of NASA's Marshall Space Flight Center and SCI). 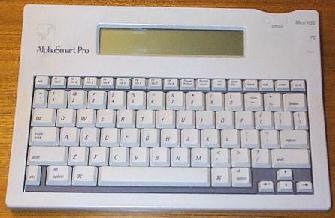 It has a full QWERTY keyboard and a single line LED display, along with a switchable "break-out box" to interconnect the data lines. It is AC powered and comes in a custom carrying case. Although I have the instruction manual, I'd be interested in learning more about the company and other products they might have built. 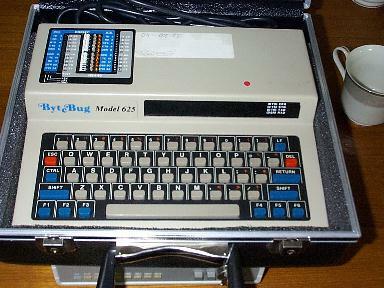 Just saw your inquiry on the bytebug 625. I actually designed the unit in the early 80's. The unit was upgraded to a bytebug 645 that added T1/ISDN monitoring and Emulation. 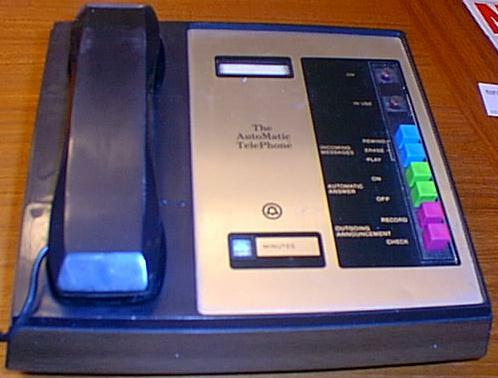 We sold the company to Tekelec in 1990 and they changed the name to the Chameleon 5. I just moved and threw out all of the old manuals as I was packing. I don't know anyone who supports this product anymore. We sold about 500 of the 625's. We sold approx 1000 645's in the US and another 1000 in Japan and Europe. I don't know how many Tekelec sold. I'm glad to see that one of the original units is still alive. I picked up this odd box at a thrift shop. It's about seven inches long by four inches wide and three inches high and has a single pushbutton mounted in the top center of the box. A plate on the bottom shows a Model 1628 02 (whatever that is) with a serial number of 7302 and a frequency of B 47, but no manufacturer identification. 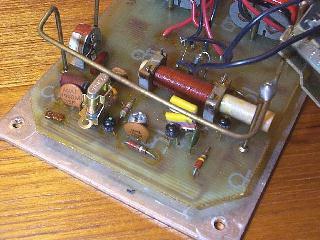 Inside the unit is a tuning coil and a trimmer capacitor feeding a loop antenna. 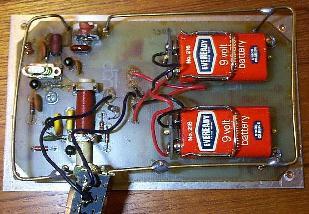 It has a crystal stamped 27.045 and is powered by a pair of 9 volt batteries. That transmitter is a remote for a arcade game that hangs on a wall and accepts quarters or tokens. The game is made by Sega/Gremlin around the 70-80's era. There were a few different games that we had when I was working in the video game industry. One game was a baseball game which has numerous small incadescent light bulbs that would flash in strobe like fashion to simulate the batters swing, and to simulate the baseball flying when you hit the remote button from your barstool. Does anyone have more technical information about this setup? BELL TELEPHONE "THE AUTOMATIC TELEPHONE"
The sticker on the back says it's a model number 1000TR-05, part number 201722, and is stamped Jun 14 1982. It is supposed to come with some kind of power supply that plugs into a jack at the top, right next to the modular line connector. Any ideas on the specifications (voltage, polarity, amperage) for the external power connection? Even better, does anyone have a manual for this thing? The power supply is 15 VDC, 500 mA, sleeve positive. Click here for the Help Wanted page.